Europe's largest hospital with 3,700 beds1, Bilkent City Hospital located in Ankara, selected Accuray Incorporated's next-generation TomoTherapy® platform, the Radixact® System, to expand access to precise radiation treatments to more patients. It is the first Radixact System to be included in a Ministry of Health and Public Private Partnership City Hospital and the second system of its kind in Turkey. The advanced radiotherapy system will enable the Bilkent clinical team to treat virtually any case for which radiation therapy is prescribed, including not only standard indications such as breast and head and neck cancers but also complex treatments such as total marrow irradiation. Turkey's President, Recep Tayyip Erdoğan, along with other government officials, attended Bilkent's opening ceremony on March 14, 2019 in support of the hospital's commitment to providing Turkish citizens with world class medical care. The hospital is dedicated to delivering the best treatment possible, regardless of a person's economic status. "Turkey, through facilities such as the Bilkent City Hospital, is embarking on a strategy to truly change the way that its citizens with cancer are treated," said Birgit Fleurent, Chief Marketing Officer at Accuray. "We are proud that the Bilkent Hospital team chose the Radixact System to help them make access to potentially life-saving radiation treatments a reality for more patients. 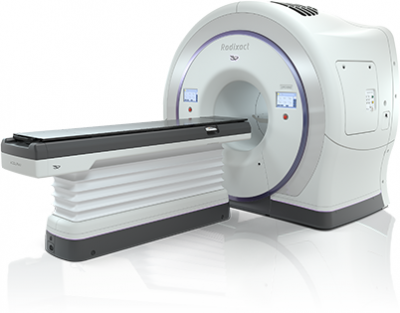 We believe the system provides the versatility and efficiency needed to enable the clinical team to keep pace with the expected demands of a busy hospital, and will allow them to deliver precise radiation to almost any tumor in the shortest amount of time possible." The Bilkent City Hospital in Ankara was built through a Public Private Partnership and will be one of the Turkish Ministry of Health reference sites. Constructed by CCN Construction and managed by CCN Holding, its campus consists of six hospitals, including an oncology hospital. Bilkent Hospital is the largest hospital in Europe, with 3,700 beds. MEDITEL Healthcare, as the exclusive distributor, installer and training partner for the Accuray's TomoTherapy Radixact platform in Turkey, worked with the Bilkent Hospital team as they evaluated radiotherapy systems and selected the Radixact System. Bilkent City Hospital to install Accuray's Radixact System. Appl Rad Oncol.